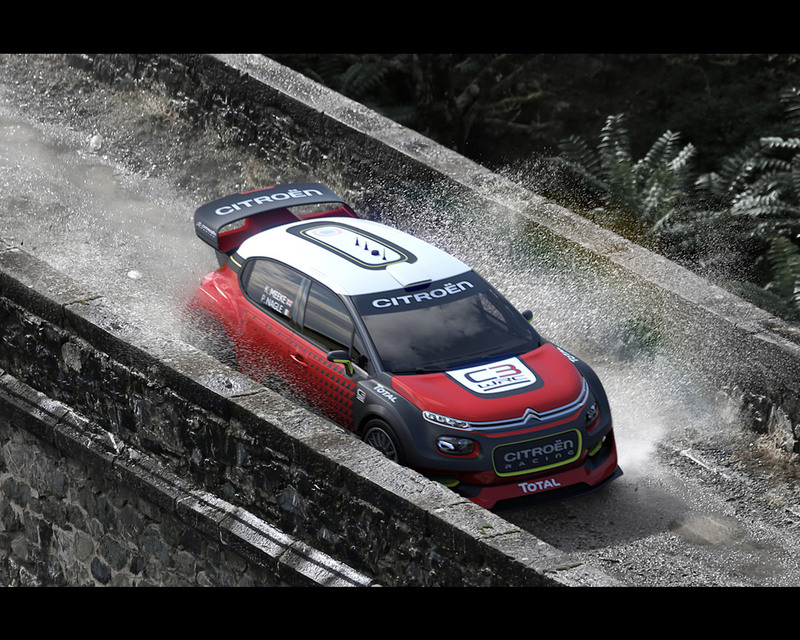 Citroën Racing is getting ready for its big comeback to the FIA World Rally Championship, bringing with it a new challenge and adventure for a team with renowned expertise. 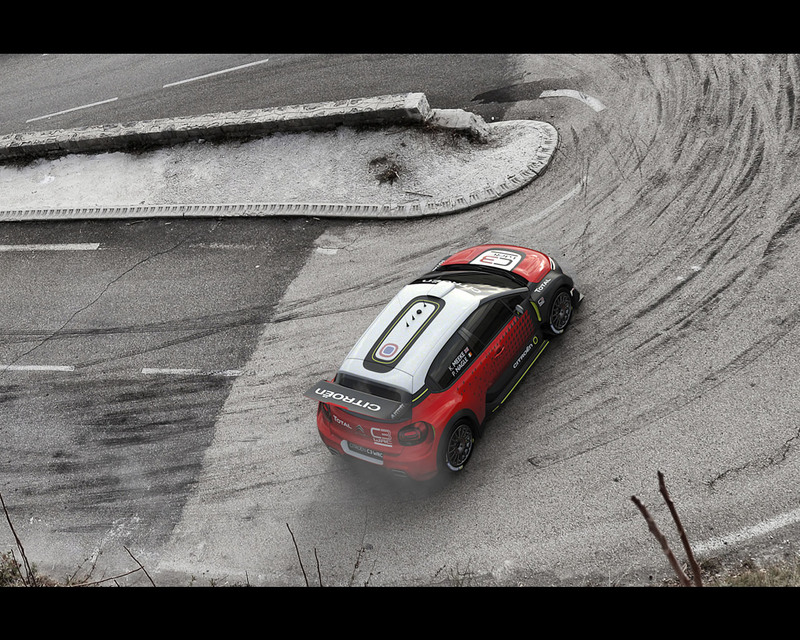 It is also another way for the brand to support the launch of New Citroën C3: an energetic car with a unique shape that packs a real punch under the bonnet. 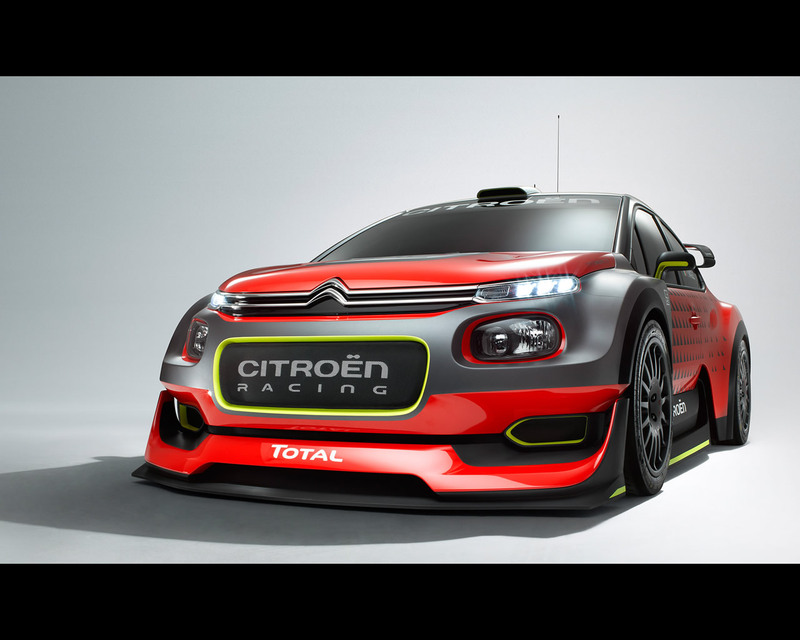 The world is getting an exclusive first look at the C3 WRC concept car at this year’s Paris Motor Show. 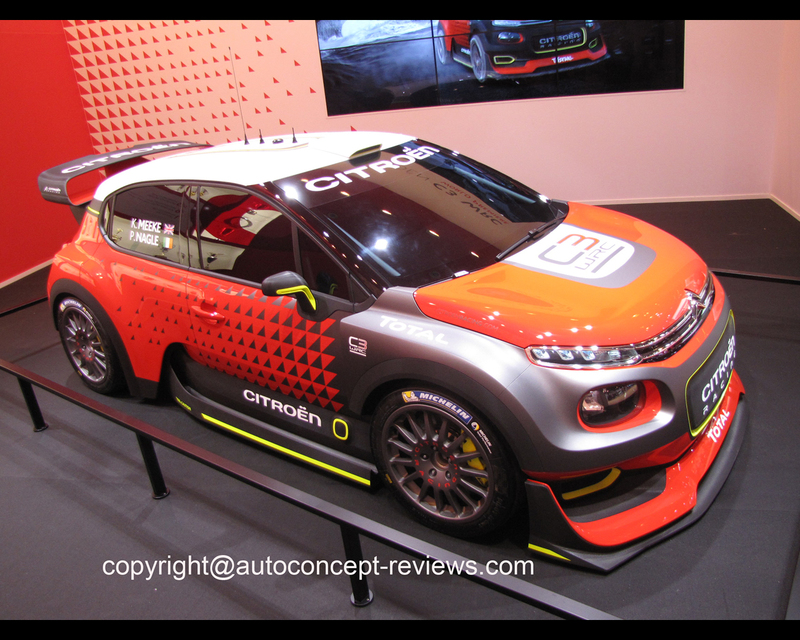 Designed by the Citroën style centre in partnership with Citroën Racing, the concept car offers an extreme version of New Citroën C3, muscular and chiselled, with striking visual design. 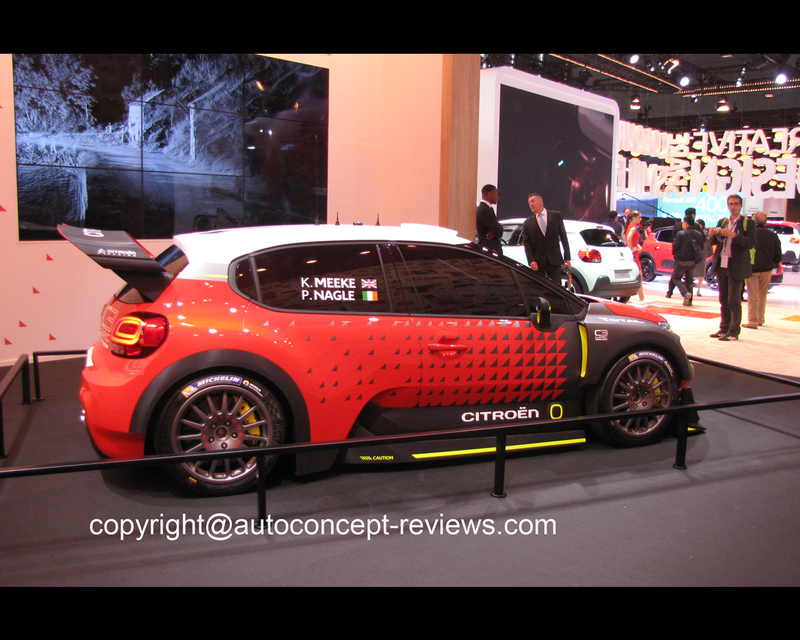 The concept car heralds the arrival of the new rally car that will compete for the first time at the Monte Carlo Rally in January 2017. 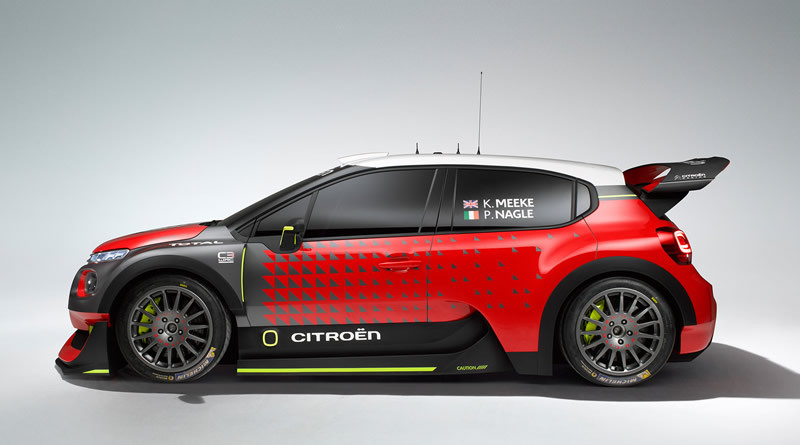 Already boasting three Drivers’ World Championship titles* in the FIA World Touring Car Championship (WTCC), Citroën is also on the way to winning its third manufacturers’ title with the C-Elysée. The C-Elysée has encountered both sporting and commercial success in Citroën’s major international markets. 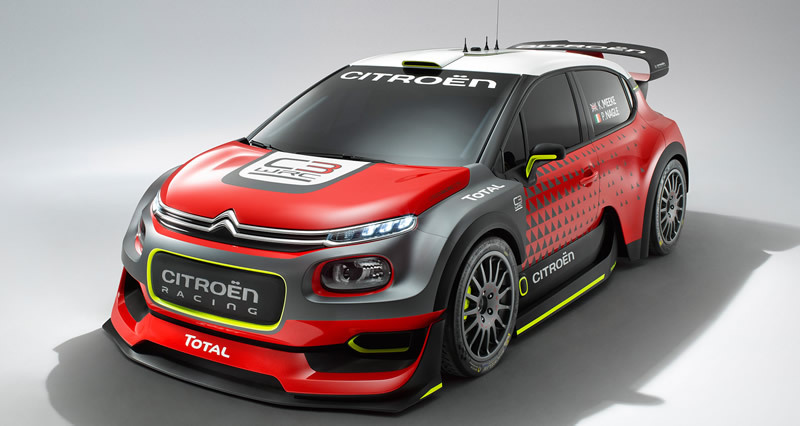 Citroën is making another push in its product offensive with New C3, and is preparing for success in the FIA World Rally Championship (WRC). 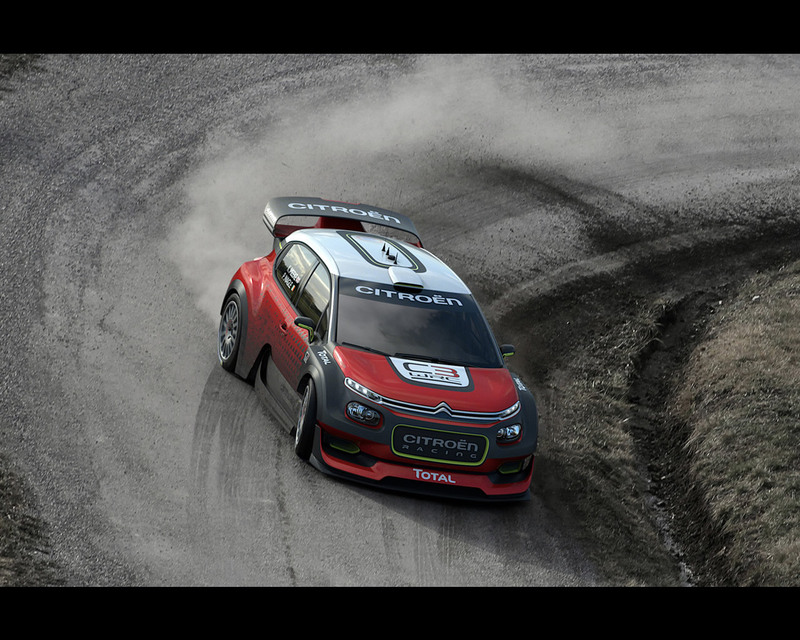 The Citroën team is already more than familiar with the WRC, having won eight manufacturers’ titles and boasting a record 96 wins. 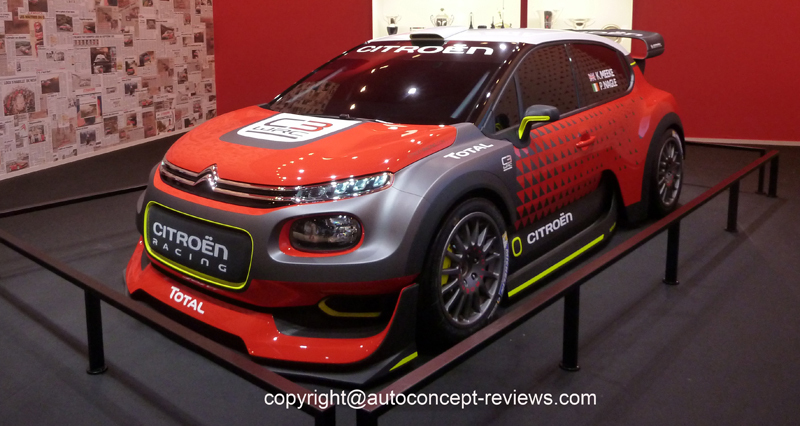 Such a competitive championship is perfectly suited to the technical foundations of New C3 and its energetic character. 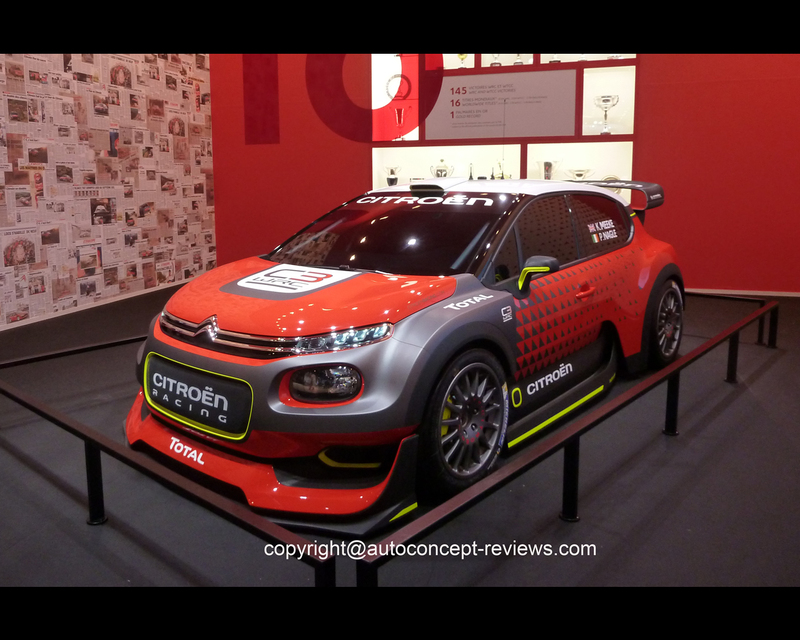 Very close to the finished WRC challenger, the C3 WRC concept car hints at the intentions of the Citroën style centre without giving away its final form. 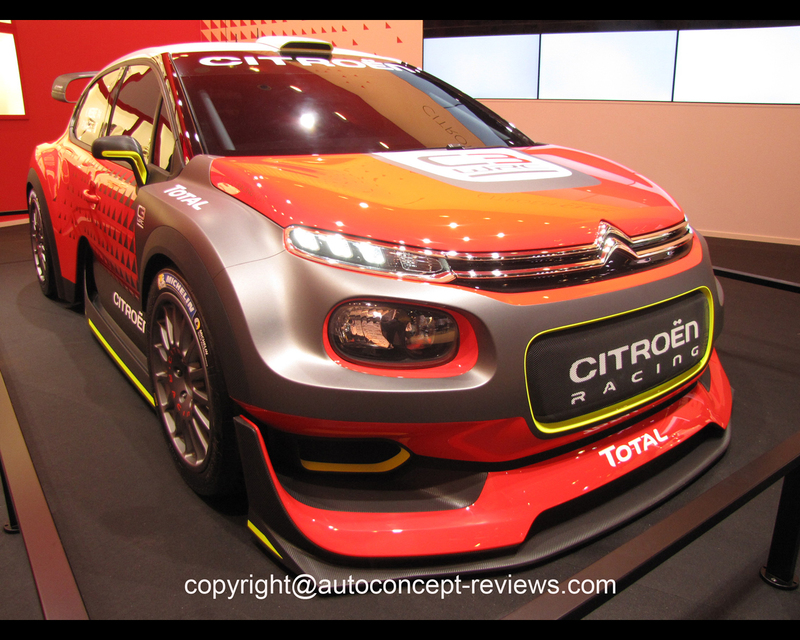 Based on New C3, it retains all of its curves and fresh appeal. This ultra-sporty, brawny, and chiselled version incorporates the stylistic elements of the production model: with its two-level light signature, two-tone body/roof and accents matching the colours of the roof. The exterior also stands out with a chassis 55mm larger than New C3, affording greater aerodynamic freedom including a spoiler for the front bumper. 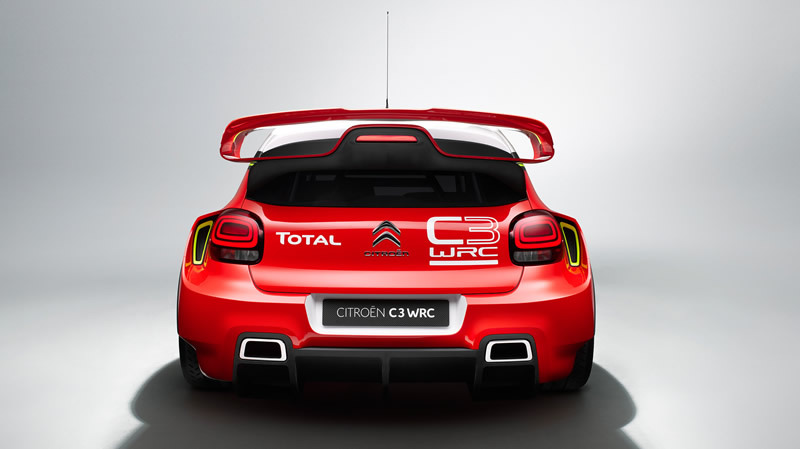 The C3 WRC’s exterior has been adapted for the racing world with bumpers that accentuate the car’s look, as do the dual chrome chevrons that extend across towards the LED daytime running lights. The decorative touches have also been enhanced: the roof is adorned with a gel capsule and a yellow border. 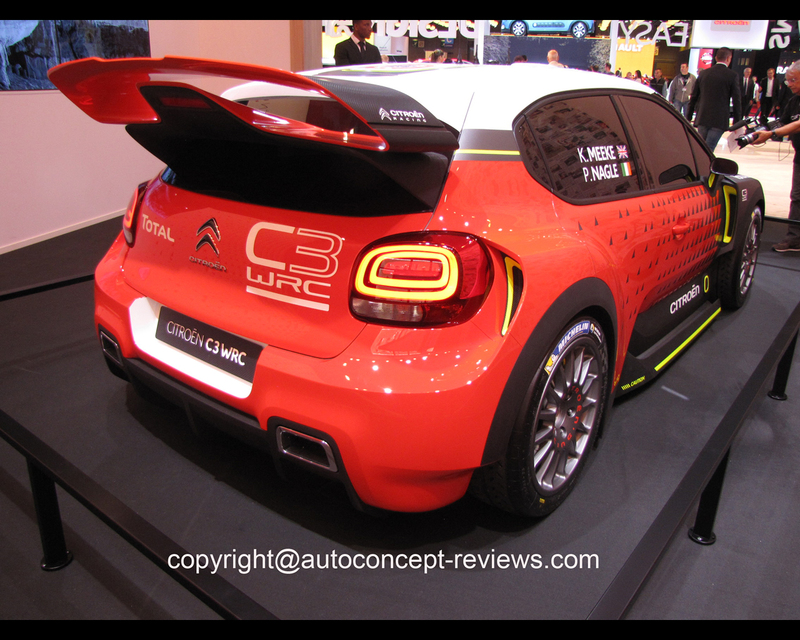 As for the wing mirrors, they have been sculpted from carbon for a real racing look, and come in yellow to echo one of the colours available on New C3. - Electronic differential control is now allowed.